Sew Cute: Dose of Disney: Let's talk about ears! Minnie Mouse ears are one of my favorite park accessories! They can really transform an outfit, or even inspire a whole look. Today, I'm taking you through the ears I own and telling you a little bit about why I love them. Not to mention, here is a peek at my ear wall my dad set up for me. Not all of them could fit up there, but they all look so cute up and displayed! Now.... let's break down my favorite ear shops! Wicked Ears | Into glitz and glam? Look no further then Wicked Ears! Her ears are really hard to get your hands on, so be sure to follow her Instagram closely if you're looking to snag a pair. This silver pair is her signature pair of ears, but she also has Christmas designs, Marie inspired ears, and more! Enchanted Ears by K.T. | My best friend's sister creates her own ears on Etsy and I love my Toy Story pair from her. They are super big and fluffy. Want to know the best part? Her ears are so affordable! Most of her ears are under $25! Such a steal, and she has a ton of cute Disney fabrics available. Floofy Arts | I ordered two pairs of Floofy Art ears when she was having a buy one get one free sale! So now I have 4 pairs of her ears for the price of 2 (aka craziness). The cheetah print and Mickey mouse ears were my free ears! But, I paied for the blue and pink sequin ears (in the center) and a pair of floral ears, which she is most well known for. Although she is most known for her floral ears these fabric ears are sooooo cute. I love all of the little details in them. The Mad HattEar | I got this crotchet pair of ears in the fall to complete a Animal Kingdom outfit I am working on and I love these unique ears. Mad Hattear does crotchet ears, which are unlike any other ears I have seen out there. My pair (in the upper left hand corner) are pretty neutral, but she offers a ton of different colors and designs. These just happen to match my outfit I'm planning perfectly! Aloha Ear Design | Aloha Ear Design is for sure my favorite place to get ears EVER! I own 3 pairs of their ears (not including the ones I ordered on Black Friday.... #oops). Their ears are seriously so comfortable, stylish, and sturdy. Out of all of my ears theirs are by far the most comfortable. I wore them all day in the parks on my last trip and they never felt uncomfortable. They put their ears on really comfy headbands which makes a world of difference. Not to mention, their ears are 3D printed which makes them super sturdy and durable. 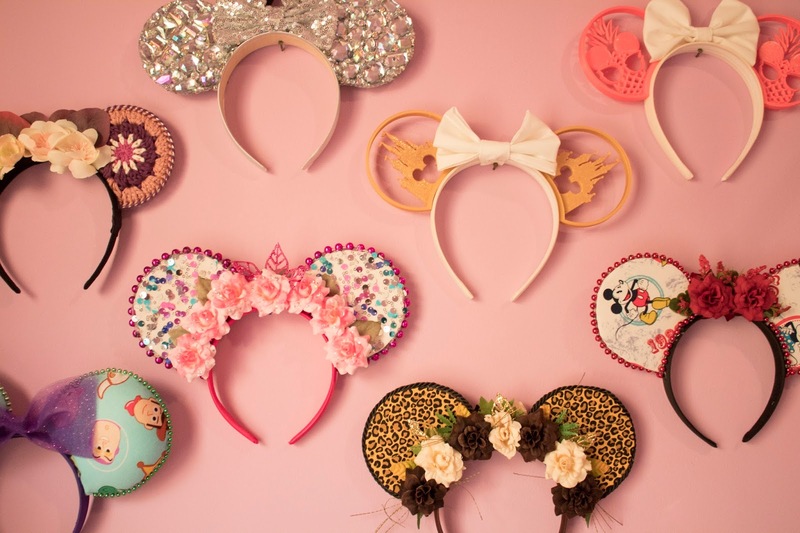 Disney Park Ears | Inside the actual parks themselves also have some great ear options! I picked up a pair from Flower & Garden last year that are super adorable! They also have the rose gold ears that have been selling out like crazy recently. So, if you get to the park and need some ears, there are great options there as well! But, I love shopping small and finding unique ears outside of Disney. 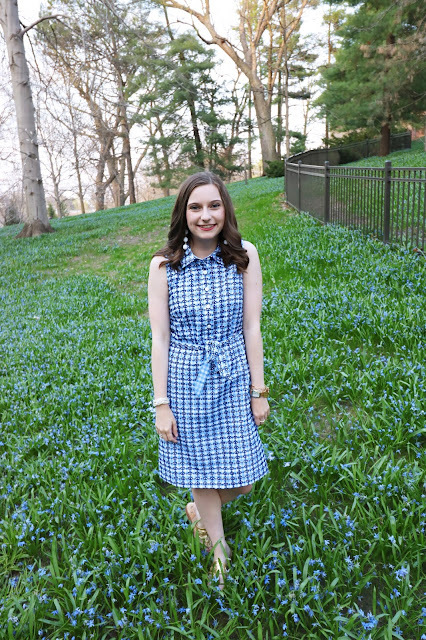 Sail Bows | For the Lilly print enthusiast, look no further the Sail Bows! She has a ton of different Lilly print ears that are super adorable. I paired mine with a matching dress and it was so darn cute to wear to the parks! Shop House of Mouse | I picked up a pair of her denim patch ears on Small Business Saturday and I can't wait to get them in the mail. You can pick what patches you want on your ears, plus customize your own bow. All of her ears are gorgeous! She also has great velvet ears and even holographic velvet. Not to mention, her IG is so fun to follow! Her colorful girl gang is seriously #goals. What are your favorite ear shops? Let me know in the comments below!